George Washington (1732–1799) was Commander in Chief of the Continental Forces during the American Wars of Independence. (1775-1783) He also became the first president of the US, serving from 1789-1797. Washington is often referred to as the ‘Father of the Nation’ and symbol of Republican democracy. His image is widely displayed on coins and statues throughout the United States. George Washington was born in 1732 in Virginia. His family were wealthy and they owned many slaves who worked on the plantations. As a planter, he felt constrained by British regulations and taxes and this proved one factor in encouraging him to fight the British in the later Wars of Independence. As well as working as a planter, Washington was interested in military matters and exploring the Western territories. 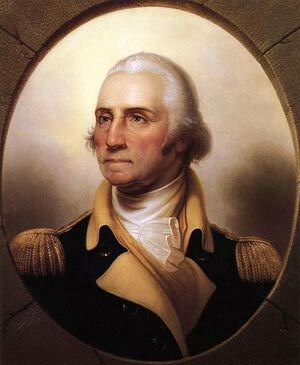 In May 1775, his military experiences were used as delegates voted Washington to be head of the US Continental Army. – General Orders, Headquarters, New York (2 July 1776). The War of Independence was to last six years. Especially in the beginning, Washington had to deal with ill-trained and poorly equipped soldiers. In the early days of the war, he adopted a strategy of harassing the British but avoiding them in full-scale war. It was not until 1781 when, with the help of French forces, Washington was able to defeat the British at Yorktown. 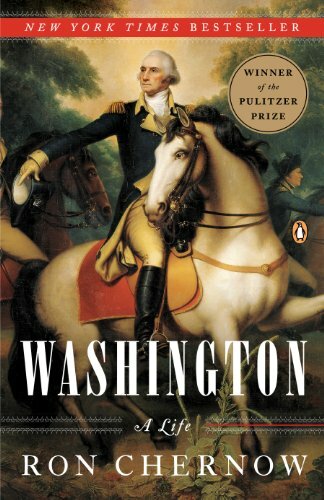 After victory had been finalised in 1783, Washington resigned as Commander in Chief. He wanted to make the point that he would not become the de facto military ruler. Washington wanted the new American constitution and democratic system to be used. As a successful military leader, Washington retained widespread support and, given the difficulties faced by the emerging republic, Washington stood for public office and the Presidency. By a large majority, Washington was elected the first President of America and he served from April 1789 to March 1797. As President, Washington skillfully kept the United States out of conflicts with Great Britain and France. This period of peace enabled the new country to improve its national finances and gain an important period of stability. In 1791, Washington imposed an excise duty on spirits. The Federal government needed to raise tax revenue for debts incurred by the war. The so-called ‘Whiskey Tax’ was deeply unpopular and many rebelled against tax officials who tried to collect the tax. Washington himself rode out to Western Pennsylvania to negotiate with the rebels. Although the tax was hard to collect, Washington avoided an escalation of the rebellion and helped to establish the principle of federal taxes. Washington agreed, but towards the end of his second term he grew weary of politics, in particular, he didn’t like the factionalization of politics into different parties. He refused to join the Federalists, despite mostly agreeing with their policies. In some respects, Washington preferred the idea of strong central government. Although he fought the British, he appreciated the strength of a unified political body. However, Washington was keen to avoid the pomp and ceremony associated with Monarchs. In 1796, he published a Farewell Address which offered his thoughts on civic virtue and political governance. 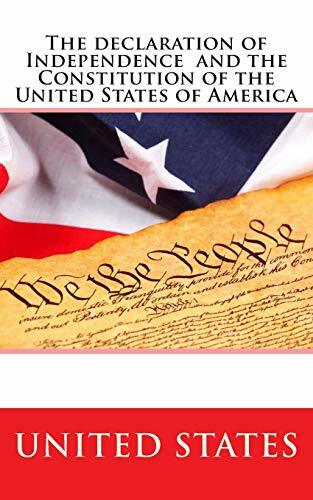 It expressed Washington’s belief in the virtue of the union of states, seeking a peaceful foreign policy and adherence to the constitution and democracy. George Washington was widely considered to be an able administrator and person of exemplary character. Washington is considered to embody qualities of integrity, self-discipline, courage, honesty, resolve, and respect for others. Washington died three years after his retirement, at his home of Mount Vernon. Washington rarely spoke against slavery in public. He knew how divisive the issue was and feared it could split the emerging union. Washington rarely addressed the issue during his presidency, but he did pass the Slave Trade Act of 1794, which limited America’s involvement in the trans-Atlantic slave trade. He left provisions in his will to free his slaves after his death. Citation: Pettinger, Tejvan. “Biography of George Washington”, Oxford, www.biographyonline.net. Updated: 8th February 2017.